Thank you for supporting my fundraising efforts as I Do It For MS! 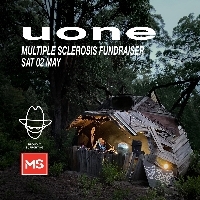 CHI WOW WAH TOWN is raising vital funds to support people living with multiple sclerosis. Reason being one of our founders has been struck by this illness and this has motivated us to support the cause. It’s quite staggering to think that multiple sclerosis affects more young people than any other chronic neurological condition. It can strike anyone at any time and the symptoms vary so widely. For instance, can you imagine waking up one day unable to do the everyday things you would usually take for granted? Like not being able to see properly (or at all), you physically can’t get out of bed, can’t walk to the phone to call someone – anyone – or live a life without pain? All of a sudden your world has changed. Thanks to your generous support, the funds we raise will allow people living with multiple sclerosis to access vital MS support services. Support to keep Aussies living with multiple sclerosis in the work force, and connecting people who are newly diagnosed with the information and support they need to understand their diagnosis.